Dilgam Taghiyev was born on January 6, 1950 to a family of a doctor. In 1966 he entered full-time chemistry faculty of Azerbaijan State University (now Baku State University), showed interest for scientific researches in student years and published his first scientific work in 1969. He made speeches in students and post-graduate students’ conferences held in Tartu, Minsk, Tbilisi and Novosibirsk, ahd was awarded the first and third degree diplomas, honorary certificates. Being an honor student he also actively participated in public affairs, in 1968-1970 he was the chairman of Student Scientific Society of the university, bureau member of University komsomol committee, member of Baku komsomol committee, representative of XXVII congress of Azerbaijan komsomol. In 1971 after graduating from Azerbaijan State University with honors, Dilgam Taghiyev entered post-graduate study at the Institute of Organic Chemistry of AS of USSR in Moscow and under the guidance of academician of AS of USSR, outstanding chemist G.M.Minachov performed scientific researches on zeolite catalysis. On January 7, 1975 he successfully defended Ph.D thesis at the Institute of Organic Chemistry of AS of USSR. Priority researches on zeolite catalysis performed by him were highly evaluated by influential scientists in Moscow and was repeatedly winner of competition on scientific-research works. After returning to Baku in 1974-1984 he worked in the positions of an engineer, junior and senior research fellow at the Institute of Inorganic and Physical Chemistry of AS of Azerbaijan (now the Institute of Catalysis and Inorganic Chemistry), performed research works on catalytic pyrolysis and hydrogenation, oxidizing dehydrogenation of various hydrocarbons on zeolite and silicate catalysts. For the results of these studies in 1983 he was awarded one of the prestigious awards in USSR All-Union Lenin Komsomol Prize. On April 12, 1984 Dilgam Taghiyev defended doctoral thesis in Moscow at the Scientific Council of the Institute of Organic Chemistry of AS of USSR. 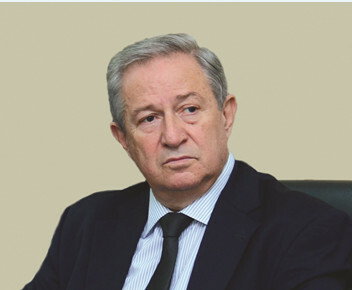 Then in 1985 he worked in the positions of head of group “Complex compounds”, laboratory head at the Institute of Inorganic and Physical Chemistry of AS of Azerbaijan, in 1986-1991 he was deputy director on scientific affairs, in 1989-1991 he was appointed an executive director of “Zeolite” Inter-branch Scientific Technical Complex.In 1990 he was granted a title of a professor. In this period he directed his studies to the development of the bases of catalysis on natural zeolites, expansion of application areas of natural zeolites in the republic and synthesis of new microporous zeolite materials. Working at the Institute of Inorganic and Physical Chemistry of AS of Azerbaijan in 1991 Dilgam Taghiyev was also elected a professor of General Chemistry chair of Azerbaijan Medical University, in 1993-1995 he served as a dean of pharmacy department, in 1995 he was elected head of chair “Biophysical and bioorganic chemistry”. Dilgam Taghiyev who always relates pedagogical activity to scientific investigations from 1999 headed the laboratory “Heterogeneous catalysis” on the invitation of directorate of the Institute of Petrochemical Processes of ANAS. 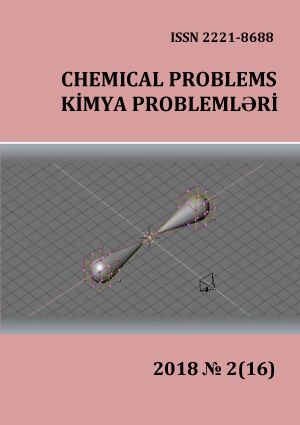 Scientific activity of Dilgam Taghiyev has been devoted to the development and studying the mechanism of influence of heterogeneous and homogeneous catalysts for hydrogenation, oxidation, isomerization, alkylation, oxydehydrogenation, oligomerization and other reactions of various class hydrocarbons and their derivatives, synthesis and research of biologically active metal-complexes, study and modeling of some physical and chemical processes. He first showed high activeness of zeolites free of transition elements - non-traditional catalysts for redox type reactions olefines in hydrogenation, hydroizomerization, and different hydrocarbons in oxydehydrogenation reactions; detected new conversions of alkyl naphthenic hydrocarbons on zeolite catalysts and named them oxydehydrodisproportionation and oxydehydroisomerization reactions. He proposed a new express method for calculation of diffusion coefficient based on thermodesorption measurements which is an important factor in studying the kinetics of different reactions in micro porous catalysts. He developed hybrid catalysts with spatially separated active centers for alkylation of aromatic hydrocarbons with low molecular paraffines, and zeolite polyfunctional catalysts for oxidation of different aliphatic alcohols to acids and their ethers in one stage. He first performed hydrothermal synthesis of zeolite like crystalline gallium, iron and zinc phosphates, defined their structural properties and high catalytic activity in the conversion of methanol. For the first time he showed the possibility and perspectives of using zeolites as an additive which increases the effectiveness of an electrode material in photoelectrocatalytic decomposition of water. He created new zirconium-zeolite catalytic systems free of valuable metals for joint conversion of normal paraffines with methanol and low-temperature isomerization-disproportionation reactions of straight distilled gasoline to produce high-octane gasoline components and studied the mechanism of their effect. He developed new catalysts for the production of aromatic hydrocarbons from other low-molecular paraffines and oxidizing dehydrocyclization of benzene to methane and studied the nature of active centers by different methods. He determined selection principles of zeolite and ferrite catalysts to synthesize valuable isomers of cresols, xylenols and different alkylphenols by alkylating phenols and cresols with methanols and other ethers. He performed thorough researches on the kinetics and mechanism of oxidizing ammonolysis reaction of different substituted derivatives of o-xylene on complex oxide catalyst, and determined the main factors in the formation of nitriles, dinitriles and imides. He synthesized new metal-complexes and heteropolyacid catalysts for di- and oligomerization of C2-C8 olefins under mild conditions, developed a new technique for immobilization of nickel complexes on a solid carrier. For the first time he found a relation between catalytic activity and stereochemical rigidity in nickel thiopyrazolaldiminate complexes. He synthesized several mixed ligand and polynuclear complex compounds of platinum and palladium, and studied the relation between their composition, molecular structure and biological activity. He synthesized complexes which allow modeling the interaction of toxic metals with metabolites which is important for inorganic biochemistry and porous complex compounds with derivatives of iron aromatic polycarboxylic acids. 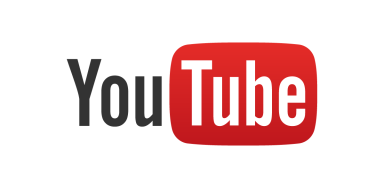 He synthesized different nanogels comprising nano silver particles for immobilization of them to reduce toxic effect and increase action time of different medical preparations (doxorubicine, trypsin, doxycycline, thyroxine) and developed polymer carriers for delivery and controlled separation of medical preparations. The catalysts developed for alkylation of phenol and o-cresols with methanol, isomerization of paraffins and narrow petrol fractions, production of different monomers have passed long-term pilot testings successfully at production associations and industrial pilot plants in Moscow, Ufa, and Sumgait and recommended for implementation.. In 1983 the results of Dilgam Taghiyev’s researches on hydrogenation, dehydrogenation and oxidation reactions with zeolite catalysts were awarded All-Union Lenin Komsomol Prize (the only Azerbaijani who was awarded this prestigious prize on chemistry and chemical technology in USSR). The results of researches on hydrogenation reactions on zeolites were included as part of the invention 302 registered in 1985. A separate article was dedicated to the scientific investigations of Dilgam Taghiyev in journal “Science in the USSR” (1985, №5) published in many languages and primarily intended for foreign readers. The results of studies on oxydehydrogenation reactions on zeolites were included as one of the important achievements in Jubilee Meeting of Presidium of USSR Academy of Sciences (October, 1987) (Herald of AS USSR, 1987, №12). In 2007 Dilgam Taghiyev was elected corresponding member of NAS of Azerbaijan on a specialty “Petrochemistry” and in 2010 he was appointed a chairman of Problem Council on scientific direction “Catalysis” of Organization and Coordination Council of Republican Scientific Researches. On April, 2013 according to the resolution of common meeting of NAS of Azerbaijan he was appointed academician-secretary at the Department of Chemical Sciences and member of the Presidium of ANAS. On December, 2016 he was appointed acting vice-president of the ANAS, on May, 2017 he was elected a vice-president of ANAS by secret voting in commong meeting of NAS of Azerbaijan. Dilgam Taghiyev is the author of more than 700 works (450 of them were published in the USA, Canada, Mexico, Spain, France, Belgium, Holland, England, Scotland, Sweden, Finland, Germany, Austria, Italy, Chine, Czech Republic, Hungary, Poland, Bulgary, Japan, South Corea and othr. ), including 55 inventions (certificates of authorship and patents), 20 monographs and textbooks, 16 educational manuals, scientific editor-in-chief of 4 books and 2 collections of articles. His scientific works were published in many important journals and collections of articles (nearly 100 of them were included into Web of Science), his papers were cited many times. Dilgam Taghiyev represented Azerbaijani science in many scientific meetings held in different countries. He participated with reports in International congresses, symposia and conferences in Russia (1974–2016), Bulgaria (1979, 1983, 1991), Czech Republic (1982, 2005), Germany (1980, 1990), France (2001, 2004, 2017), Sweden (2002), Scotland (2003), Austria (2003), Switzerland (2004), Spain (2002, 2006, 2015), Italy (2016, 2017). In 2014-2017 he was on a scientific mission on the invitation of Donostia International Physics Center in Spain and signed bilateral agreement with the president Pedro Miguel Echenique to organize mutual International laboratory with this prestigious international center for joint researches (on the program financed in 2016-2018). In 2017 he actively participated in UNESCO 39th General Conference in Paris as a representative of Azerbaijan in scientific commissions on exact, social sciences and humanities, held a presentations on the organization of geoparks in the territory of Azerbaijan and reached agreements about it. Dilgam Taghiyev has great merits on training of scientists. He has trained 5 doctors of sciences and 13 PhDs, They successfully continue scientific works on catalysis. Presently several postdoctoral students continue works on doctoral thesis. Dilgam Taghiyev was nominated the title “Man of Science” of the American Bibliographical Institute and received an official invitation to be included into bibliographical listing “Who’s who”. He was awarded “The Name in Science” award and honorary title by the proposal of International Socrat Committee (Oxford, Great Britain). He was invited as a speaker and well-known specialist and expert to III and IV World Congresses on Prospective Materials in Chine, II World Congress on Petrochemistry and chemical engineering in the USA and other meetings (Dubai, Thailand, Athene, Germany, Sweden, Ireland). He was awarded the order “With labour and knowledge” by the decision of award commission of European science-industry consortium (protocol № 29/04.06.2013). Dilgam Taghiyev was elected a member of Council of AS of USSR on Catalysis (1989), a member of New-York Academy of Sciences (1994), International Zeolite Association (2001), American Chemistry Society (2003), and Russian Academy of Nature Study (2013) and member of International Prospective Materials Association (2018). Dilgam Taghiyev’s scientific and pedagogical activity was evaluated by the Government with Lenin Komsomol Prize of the USSR on chemistry and chemical technology in 1983, the medal “For Distinguished Labour” in 1986, appreciations of the Presidium of AS of Azerbaijan (1989) and the Ministry of Health (1999), honorary title “Honoured Teacher of Republic of Azerbaijan” in 2000, by being elected corresponding member of NAS of Azerbaijan in 2007, with medal “Tereggi” in 2010, honorary diplomas of the Presidium of NAS of Azerbaijan and Azerbaijan Medical University, by being elected active member of ANAS in 2014. 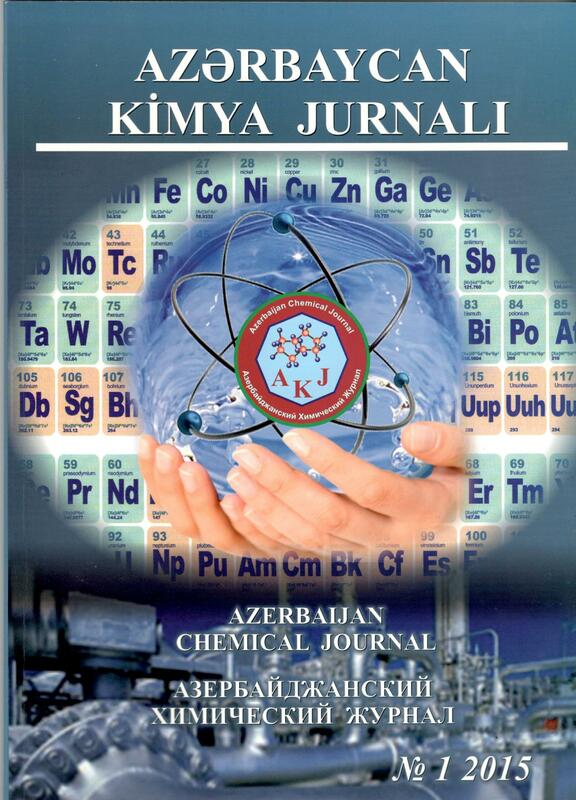 At present Dilgam Taghiyev is vice-president of NAS of Azerbaijan, director of academician M.Nagiyev Institute of Catalysis and Inorganic Chemistry, editor-in-chief of “Azerbaijan Chemistry Journal”, member of editorial board of “Transactions of National Academy of Sciences of Azerbaijan”, “Proceedings of National Academy of Sciences of Azerbaijan”, “Science world” journals, and “ELM” newsletter, member of Republican Research Coordination Council, State Commission against Drug Abuse and Drug Trafficking of Azerbaijan Republic, Member of the Observatory Council of High Technologies Park of ANAS, chairman of the Presidium of ANAS related "Anti-Pseudoscience Commission".